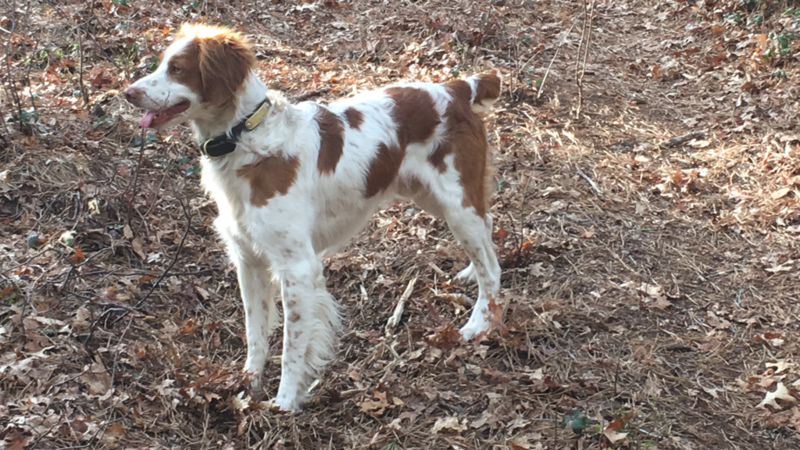 Remington Smoke-N-Gun a big athletic very attractive well muscled young dog that displays many of the characteristics. He was broken steady to wing and shot early because of the strong pointing instinct he exhibited early on. 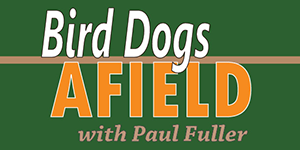 A truly outstanding dog and a solid bird dog, he possessed the strength, stamina, intelligence and speed. He works at close range, exhibiting great stamina and strength and loves to retrieve to his handler. 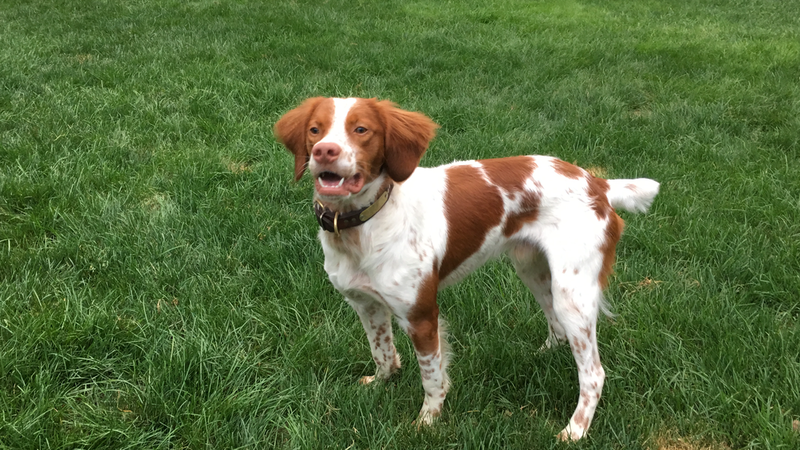 Remington is a powerful dog but he is easy to handle. We are very blessed to have Remington as a young dog. Remington is a truly magnificent dog. 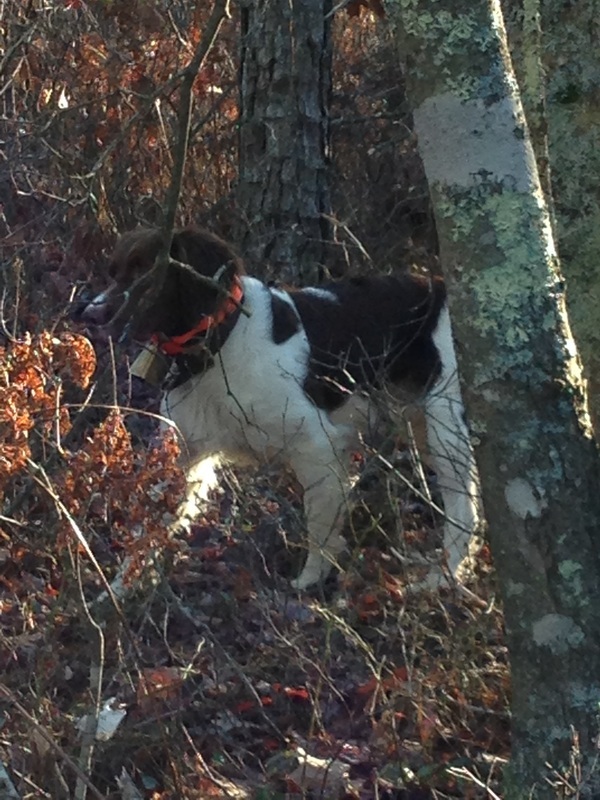 He is a great house dog and is a dream in the hunting fields and woods. This is an exceptional breeding. Gunner Winchester Long Gone has a very laid back personality but a lot of character. Gunner always amazed me with his athletic ability. Since he was a puppy Gunner showed a great ability to hunt and a great nose. He is rock steady on point. His motivation is to please 100 percent of the time. 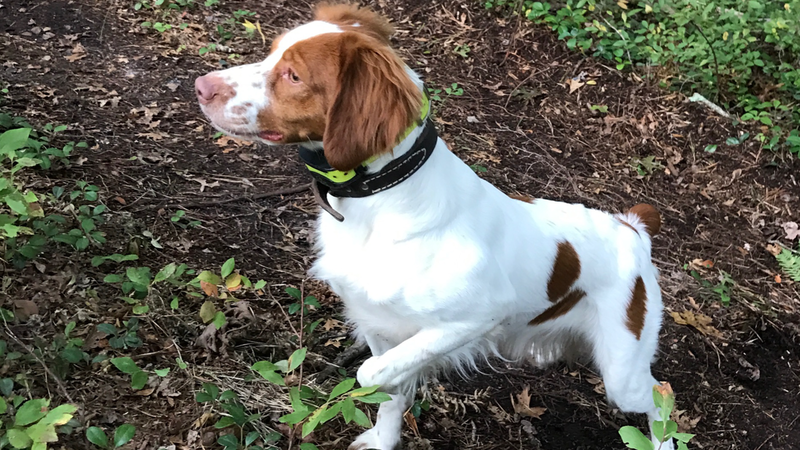 Very intelligent and extremely stylish gun dog who hunts at moderate range and is a classy and natural retriever with a soft-mouth. 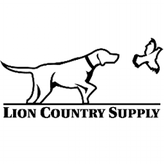 Strong hunter, dependable and a natural backer. He has grown up to be one of the most successful dogs we ever owned. 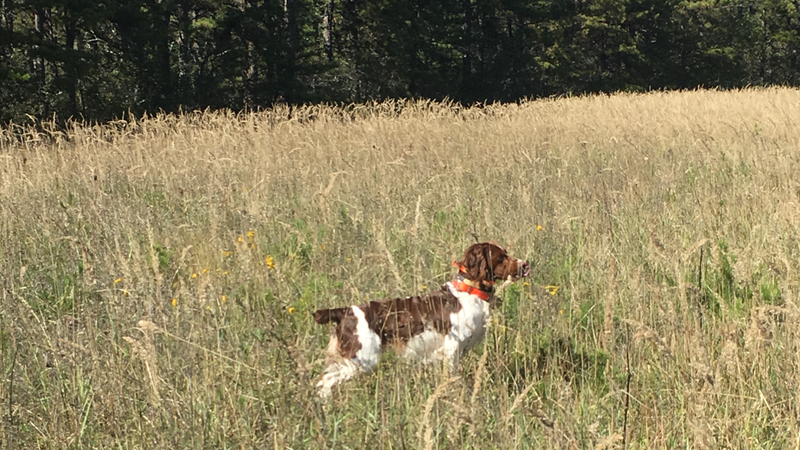 ​I use Gunner for pleasure hunting expeditions as well as helping us train puppies on birds by offering guidance, direction, range, pointing and backing lessons in the field. 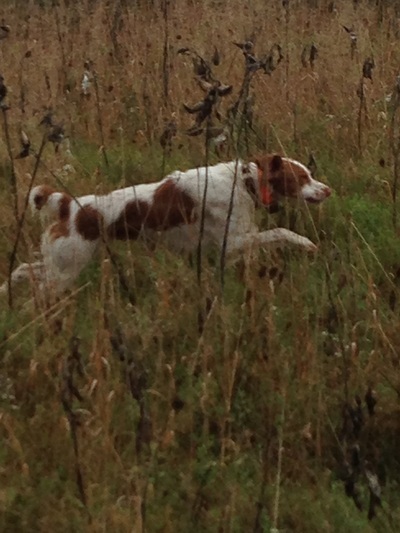 Rustee Huglu Steady-Wing-Shot is a very hard hunting, extremely energetic young dog. 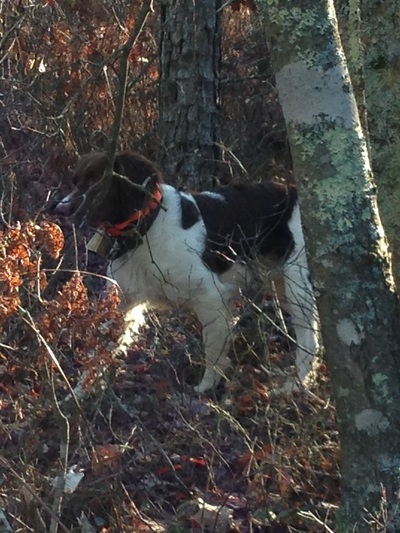 Excellent nose, beautiful and natural forward hunting pattern, loves to retrieve. His natural pointing instinct is incredible. 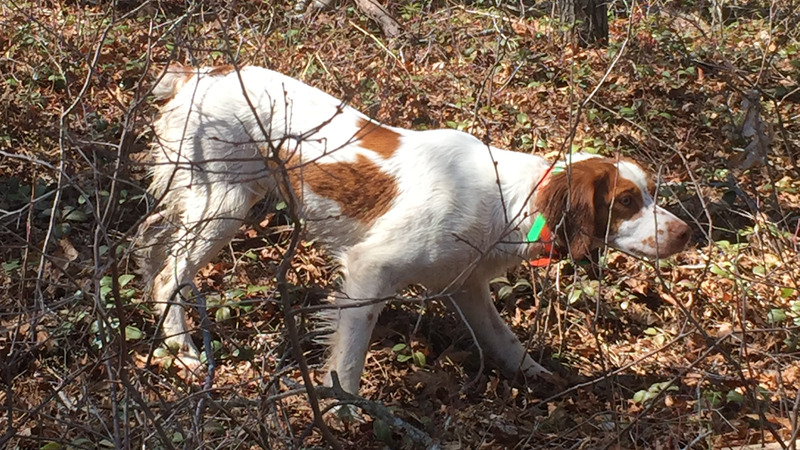 We have high expectations for this young dog. Rustee is a direct son of Peter Gunn a 4x Am. 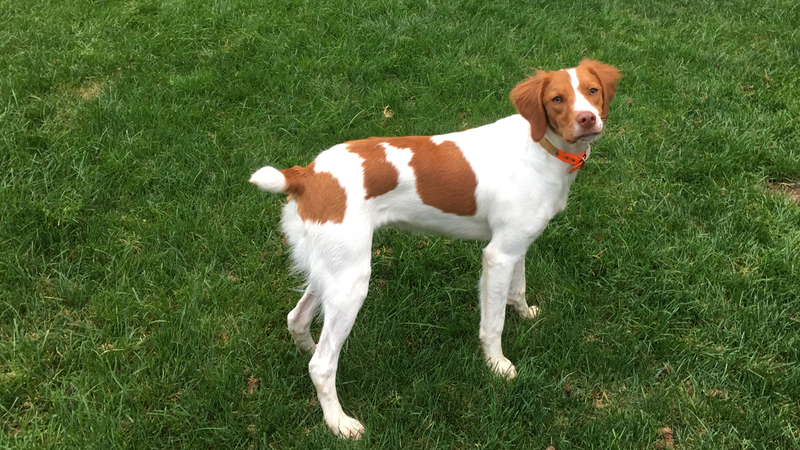 Field Ch/RU Ch/NGDC/NAGDC/FC/AFC has accomplished what no other Brittany in history of the breed has accomplished by winning both National Gun Dog titles. Allie Benelli Last Bullet is an athletically built female. 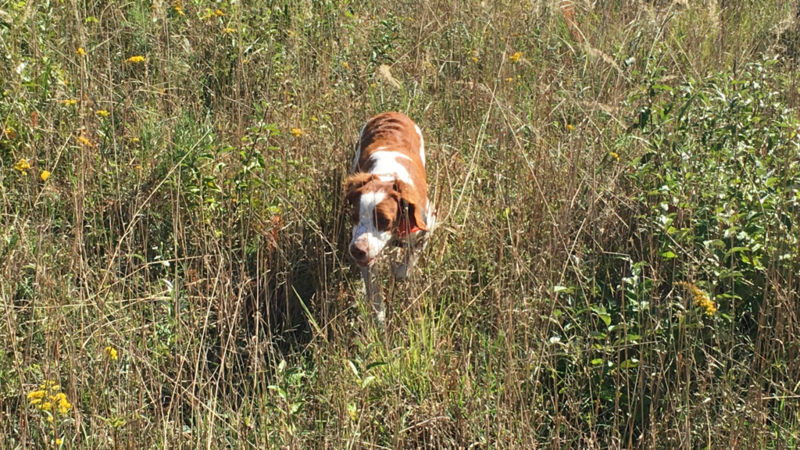 She has a lust for life and loves to hunt. 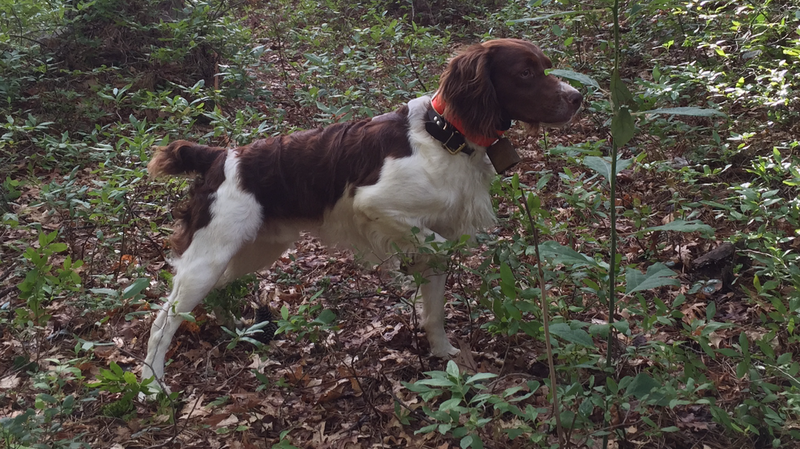 Allie is incredibly strong and has great stamina while hunting in heavy cover. She instantly loved birds and looks amazing on point. 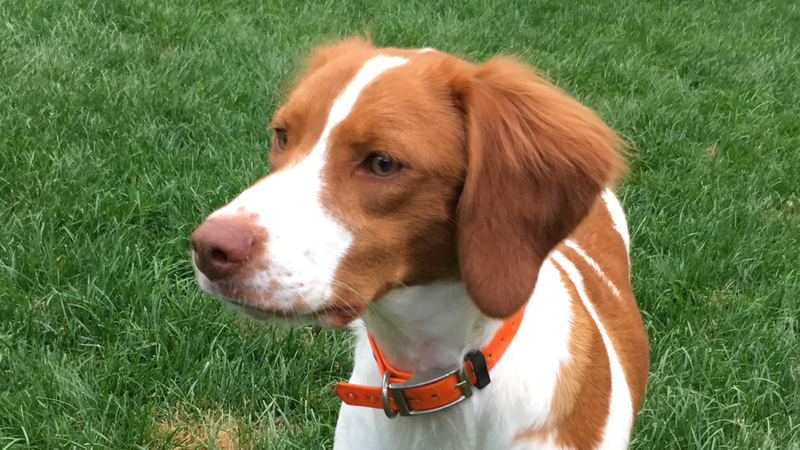 Allie has a calm personality and always loves to work. 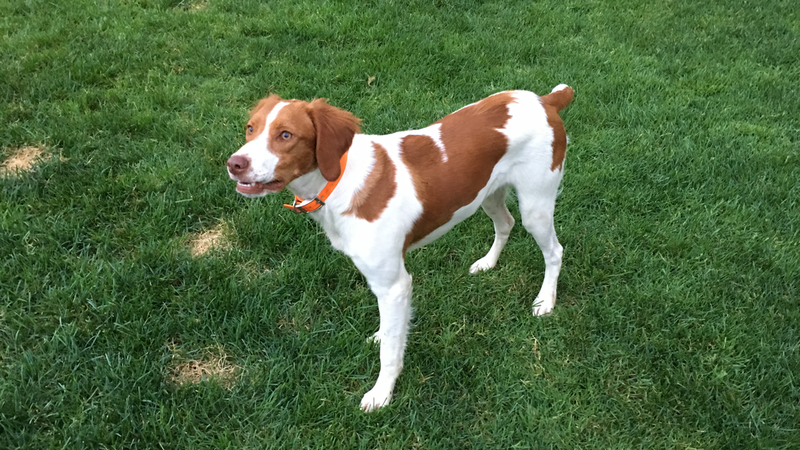 Allie has an incredible amount of bird drive and has exceptional range. She is a forward natural hunter who works the field energetically and with great determination. 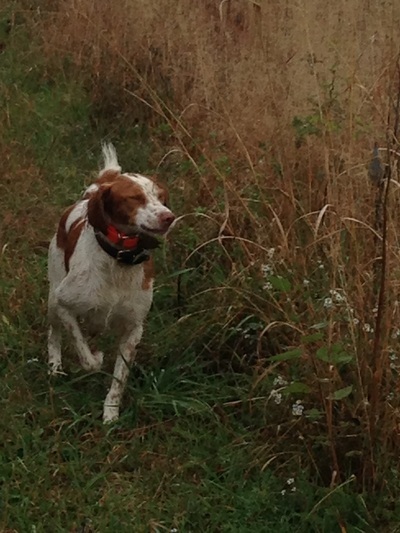 She shows a natural ability to run field edges in search of birds and is a bold and independent hunter. 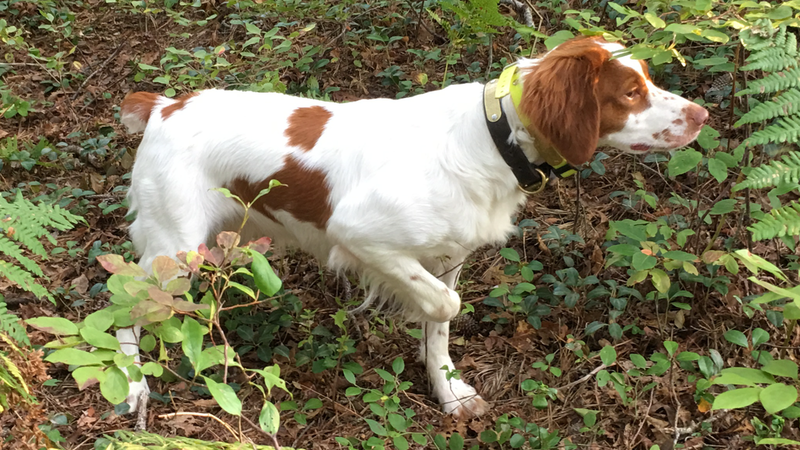 She is very responsive to training and shows eagerness to please her handler. 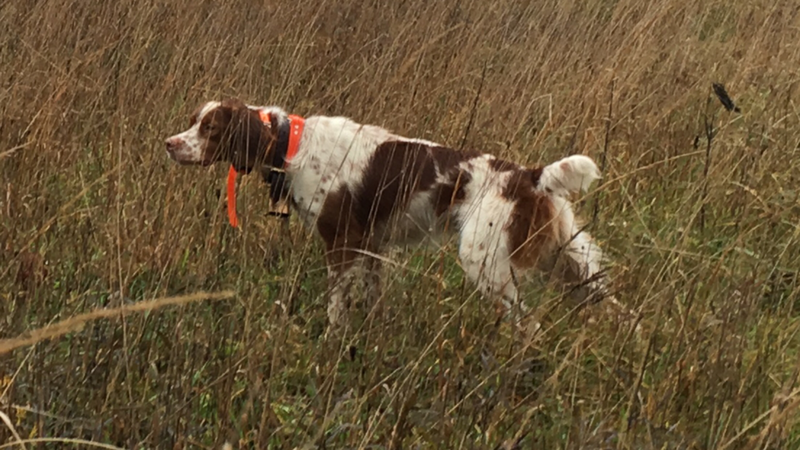 She has a happy go lucky appearance that makes her a pleasure to watch in the field. Allie is truly a rare talent! 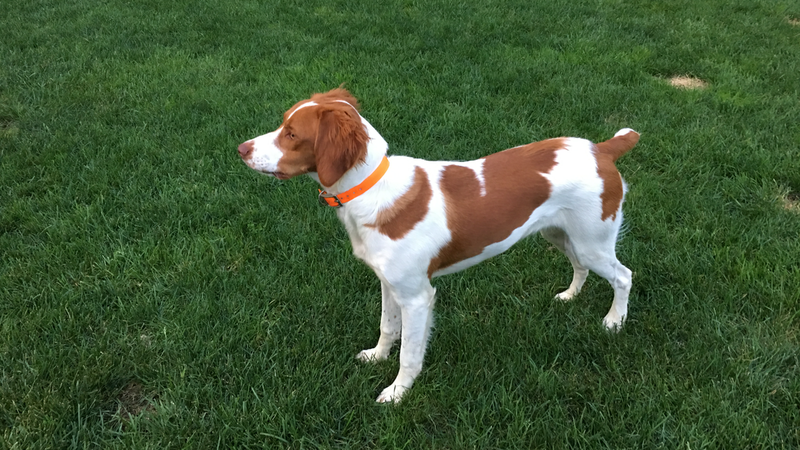 Allie is a natural, soft-mouthed retriever who is energetic in the field and has a nice form on point. She is also a very sweet tempered, loyal, affectionate pet. 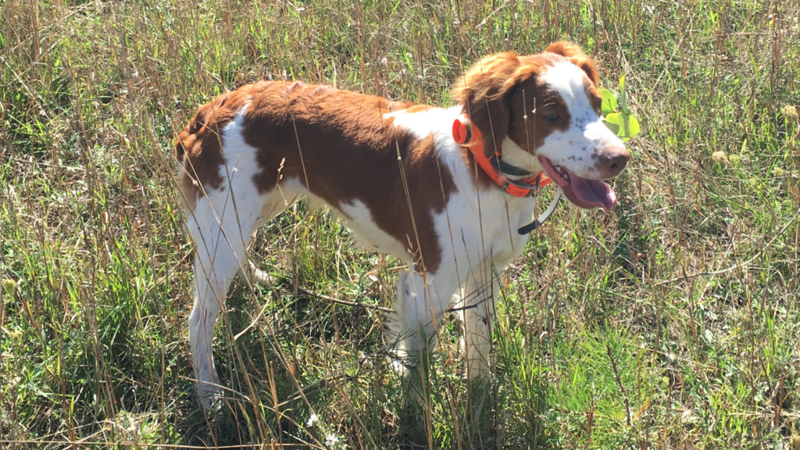 Sadie Savage Lady Hunter is extremely intelligent young dog with lots of style, Sadie as a great enthusiasm for birds, hardworking, stylish bird dog, its pleasure to be around both in the field and at home. She is also a very sweet tempered, loyal, affectionate dog with a kind heart. 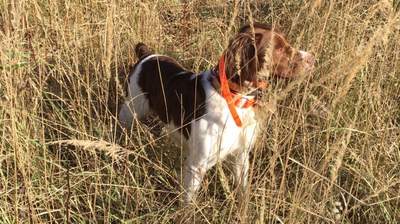 A stylish gun dog who hunts at moderate range and is a classy and natural retriever with a soft-mouth. 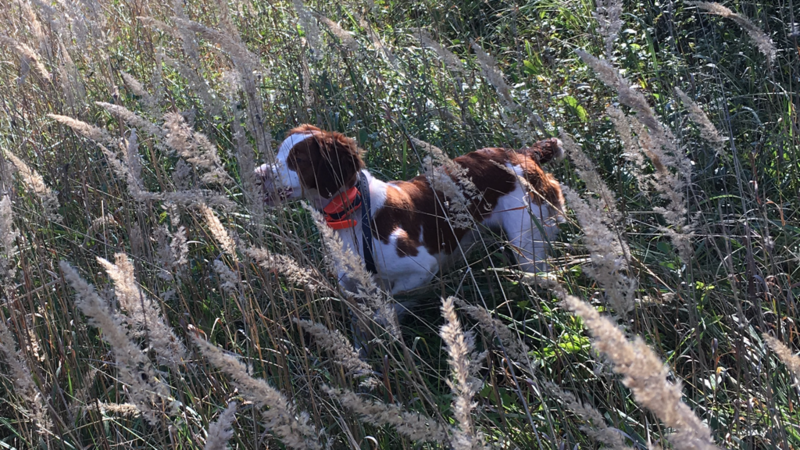 Sadie is the great granddaughter of 32x NSTRA Champion Nolan’s Last Bullet who has more NSTRA wins than any dog of any breed in NSTRA history. 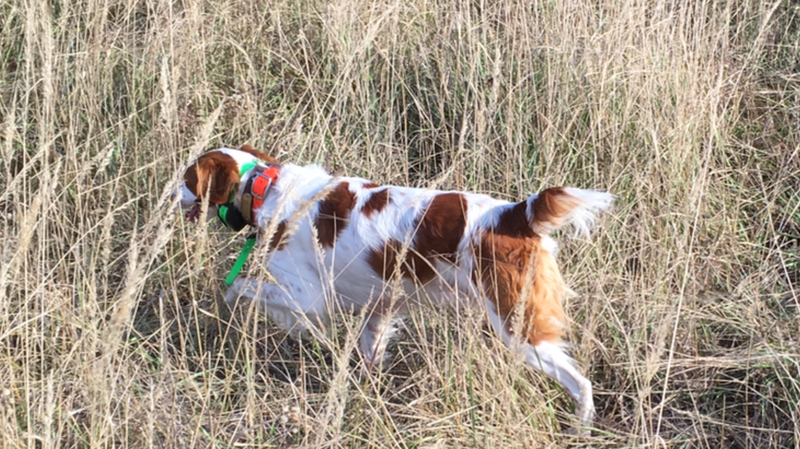 Brandy Beretta Lite-As-A-Feather has an incredible pointing instinct, and incredibly strong bird drive, and loves to work the fields and heavy cover at a very nice range. Very stylish on point for such of a young dog. We're incredibly proud of owning her. 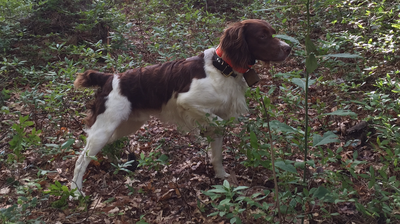 Outstanding young pointer with a superior nose. 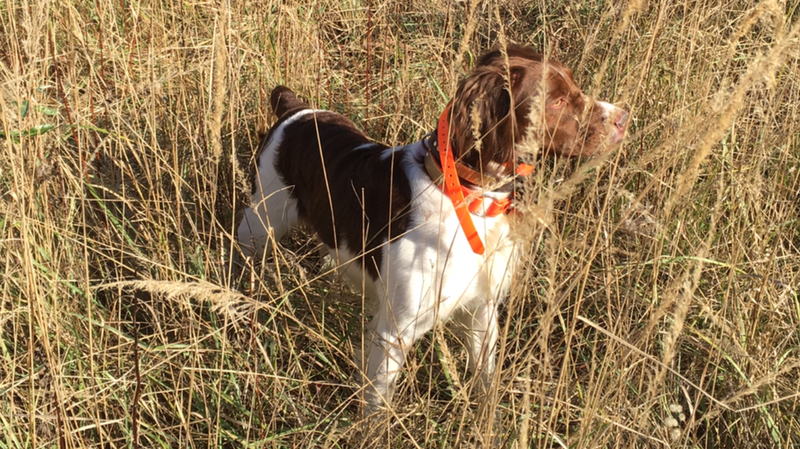 Brandy is the direct daughter of the 5X American Field Champion DC Shadow Attack who is a direct son of 11X American Field Champion NFC/FC/AFC Shambo's Dark Shadow. The dam is a direct daughter of 11X American Field Champion and is also a granddaughter of 32X NSTRA Champion Nolan's Last Bullet. 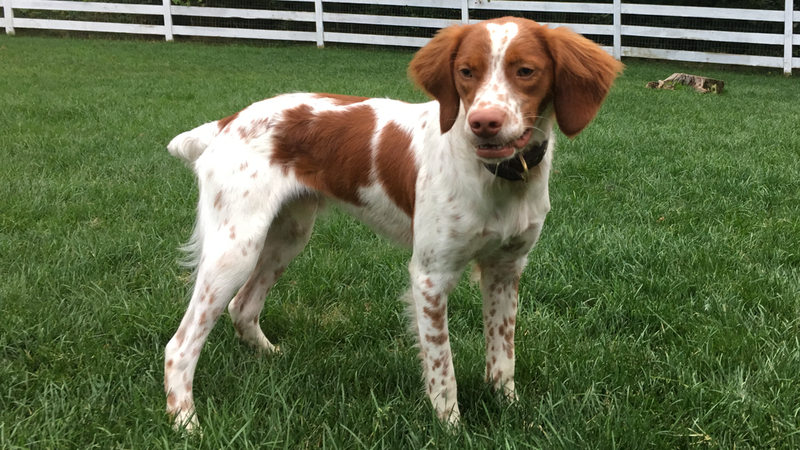 Scout Browning Double Trouble is an exceptional dog, sweet girl with a great temperament. Hardworking a natural hunter who works the field energetically, with great determination. A great natural ability to run field edges in search of birds and is a bold and independent hunter. 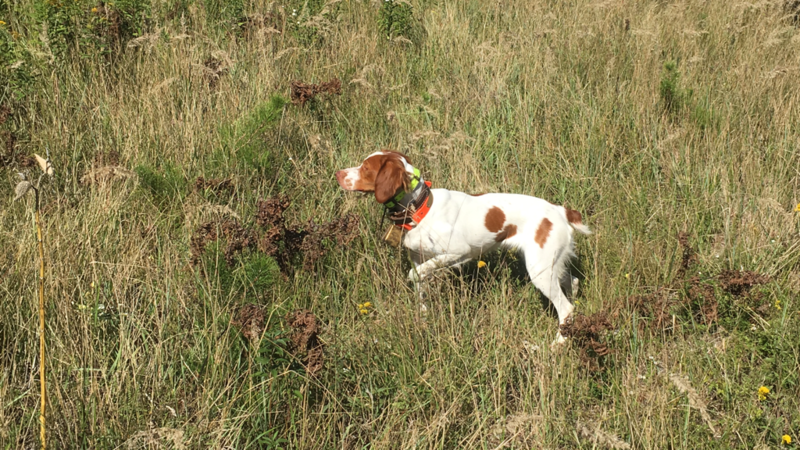 She is very responsive to training and shows eagerness to please her handler. What a pleasure to watch in the field. 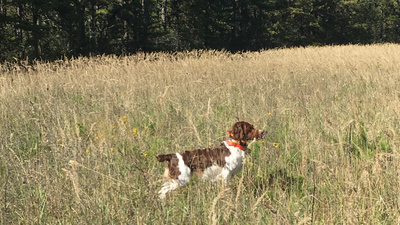 She's the daughter of Rebel Smoke's Confederate Bullet, who is the direct son of 32X NSTRA Champion Nolan's Last Bullet and is grandson of 11X American Field Champion Shambo's Dark Shadow. Her Dam is Decan's Casino Roy-Ale, who is the direct daughter of Just Call Me Roy NFC NAFC FC AFC.